In part one of “ Web design apps for beginners,” I wrote about affordable WYSIWYG Web editors that let you get started visually creating Web pages. This time, I’ll take a look at a few other applications to complement your existing toolbox, and to track the results of your work. 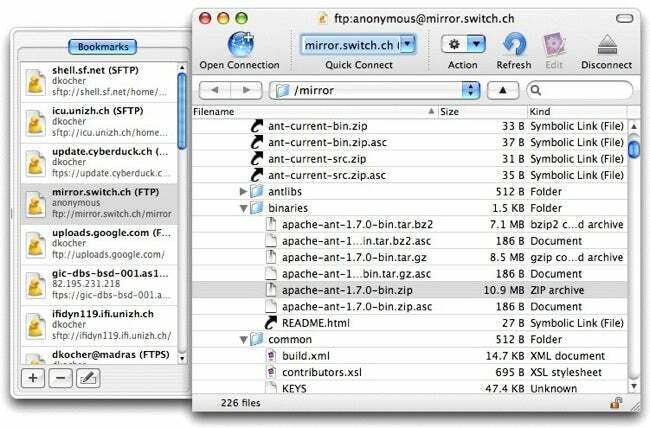 If you’re on a budget, though, you should take a look at David Kocher’s free, open source FTP client, Cyberduck. Don’t let the bargain-basement price fool you: Cyberduck is nearly as feature-rich as Transmit, especially if your needs are modest. With support for FTP, SFTP (secure FTP), Growl, Spotlight, AppleScript, Mac OS X’s Keychain and drag & drop, Cyberduck is a superior FTP program that’s surprisingly easy to learn and use. Navigating your way though the Cyberduck browser is much like the Finder, and bookmarking FTP sites is as easy as bookmarking Web sites in Safari. There’s even a Dashboard widget available. As noted, Cyberduck is free, and has been frequently updated over the years, so there’s no immediate danger of it breaking with the next OS release. And really, how can you go wrong having a yellow rubber ducky in your dock? Guides, Frames and Crosshairs, which make it a snap to align your objects on a Web page without you having to do the math. xScope is not only useful, but looks beautiful, and is easily accessible from the OS X menu bar. 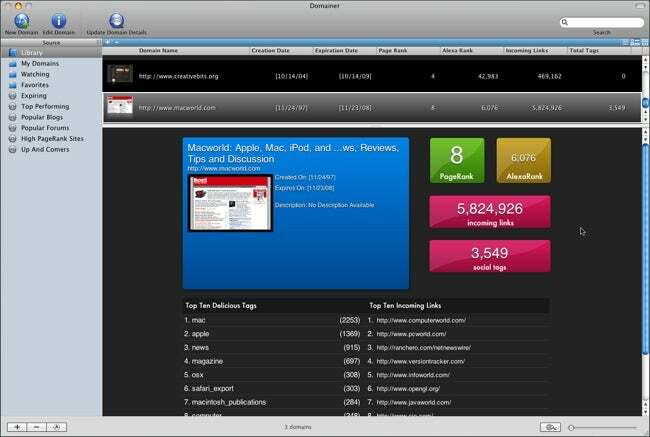 Domainer lets you track the domains you own in several ways. 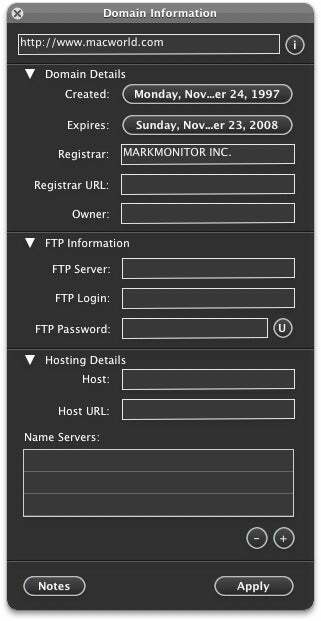 It can display their registration and expiration dates, along with such other vital information as the registrar, FTP username and password, and DNS information. You can even enter other domains you may wish to purchase in the future, and sync the expiration dates in iCal. You can also enter an unlimited number of domains, making it easy to track competing Web sites. Once you have your domain information entered, the main viewing area displays a preview thumbnail of the Web site, along with any description provided by the site’s meta tags. Next to the summary are several brightly colored boxes containing your Page Rank, a list of the top 10 incoming links to your site and a social tags list that gives you a breakdown of the most popular tags on Del.icio.us that refer to your site, as well as how many times they appear. All of these items in Domainer are quite helpful in determining the best places to send update information, to help you choose who to partner with in promoting your site and what keywords you should use to get your site linked to more often.